The Parish Twinning Program has been a real story of love and commitment, bringing hope and aid to thousands of people in Haiti and other countries of the Caribbean and Latin America. The Parish Twinning Program of the Americas (PTPA) has been facilitating and maintaining parish relationships throughout the United States and Canada through the work of Executive Director, Theresa Patterson, since 1978. 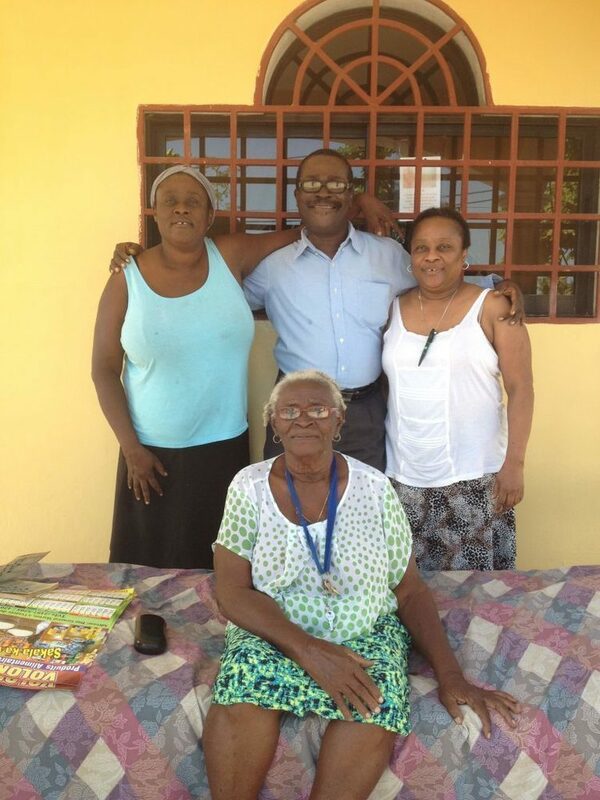 The parishioner’s of St. Charles Borromeo Catholic Church provide prayer and monetary support to our Sister Parish in Haiti, St. Anthony of Padua, which is located in Vieux Bourg D’ Aquin. The parish has seven chapels, a small clinic and primary school. Construction began on a secondary school, but has yet to be completed. The Pastor of St. Anthony of Padua is Pere Claude Jean Charles. If you wish to make a donation to our Sister Parish, St. Anthony of Padua, please click here. If you would like to participate in this ministry of our parish, or if you would like to participate in future mission trips, please contact our Parish Office at 765-473-5543. We finally went to Haiti. There were seven of us intrepid travelers, Father Adam, Brad Rodgers, Chris and Kim Brooks, Michelle Curran, Terri McCain and me, Tammy Nystrom. We left December 28 at an illegally early time and got home way past my bed time on January 3. It wasn’t a very long time, but that is for future trips. I believe our goal was to reconnect with our sister parish, learn about their real needs (not our preconceived notions), and build relationships. I think we did all this. We got in Monday to Port-au-Prince and went directly to the Matthew 25 House; there was running water, flushing toilets, and electricity (not always), and Wi-Fi. Also, we met our driver/translators, Julian and Marco. We went to our sister parish Tuesday; it is southwest of Port-au-Prince in the mountains near the Caribbean coast. We stayed there, until we left Sunday afternoon for Port-au-Prince. Then visited places in Port-au-Prince Monday, including several hospital ER’s, and left for home Tuesday about 3:30 p.m.
At the parish, we had electricity sometimes, no running water or flushing toilets. What we didn’t have in luxury was made up by love. Real Jesus kind of servant love. Father Claude, the pastor of this dispersed flock, has only been there 13 months. The church was intact with the roof repairs that we facilitated. Daily we visited different parts of the parish; it has seven chapels (rural places where Mass is celebrated) and one Church. There is a school next to the rectory (run by nuns and for girls) and one across the road for boys (run by Father Claude). We were fed and cared for daily; I was amazed at the amount of time just existing took. After we ate we talked which was fascinating. Father Claude spoke English, but his comprehension was lacking. Sometimes we got our questions answered, sometimes other questions got answered, but we always learned. The food was great, and I will be making some. We celebrated our Blessed Mother and the New Year together; we worshiped together, and celebrated Mass together. We accomplished our goals for this trip, and have set new ones for the future. Who will be returning with us?